Paul Stone is a business graduate who currently owns and operates four 24 hour Spar stores in Manchester City Centre. 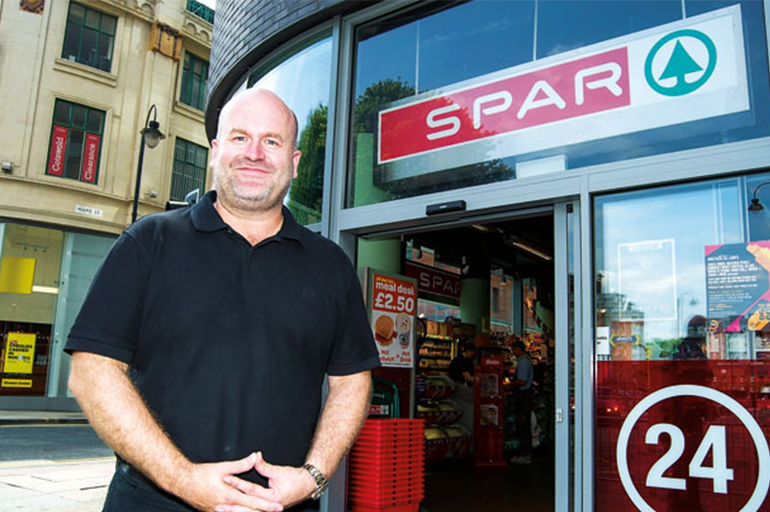 His family have been Spar members since 1973 and his business currently has a group turnover of £12million and serves an average of 55,000 customers per week. All of Paul's stores have either a 2am or 3am alcohol licence. He has spent the last 12 months developing and launching a new coffee shop brand "The Cheeky Coffee Co " which is designed to run alongside his Spar business and exploring the ways in which digital media screens can be used to promote sales within the convenience sector.